Wife of the President, Aisha Muhammadu Buhari is currently abroad for medical reasons, according to TheCable. This is the reason the First Lady has not been active in campaigning along with President Muhammadu Buhari. Concern has been raised as to her whereabouts after she led her campaign team to a rally in Kano state on January 5. A presidency source explained to the newspaper that Aisha has not been seen campaigning â€œbecause she is illâ€. â€œFor about two weeks now, you will observe that the presidentâ€™s wife has not been campaigning. She is ill and she has travelled abroad for treatment,â€ he said. However, she will be back on Monday, according to the report. Aisha had set up a 700-member team for Buhariâ€™s reelection bid. 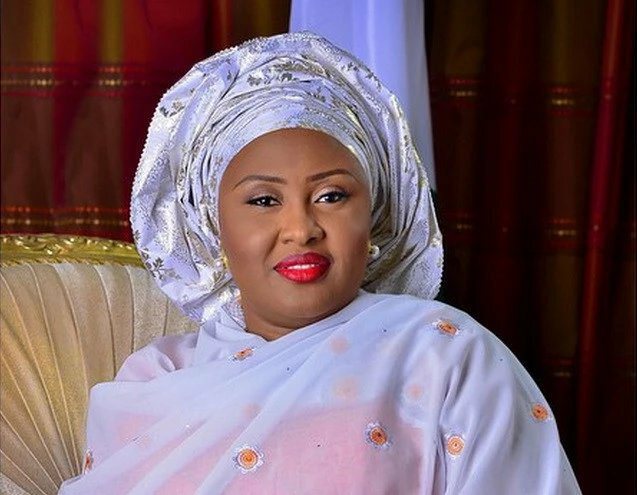 Meanwhile, Suleiman Haruna, Aishaâ€™s media, told the newspaper that he did not have any comments regarding the President Wifeâ€™s health. â€œHonestly, honestly, I donâ€™t have any comment on that. People have been calling me. I donâ€™t have any comment on that,â€ he said.